I've got a 240SX KA transmission with L-series bellhousing installed in my 510, and need new switches/sensors (backup, neutral, 3rd gear or is it's 5th? ), as well as a range of the plastic gears that go into the carrier so I can dial in my speedo. Anyone know how to identify if I've got the S13 or S14 trans? 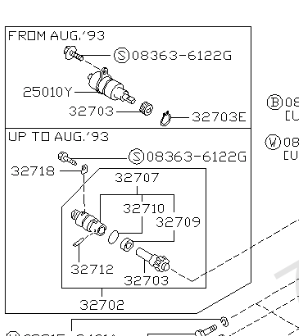 Anyone have any OEM part numbers for any of the above? Is the 3rd gear switch the same? All you really need is the reverse light switch. The others are just to tell the emissions if in 4th or 5th gear or neutral. So anything that plugs the holes you don't need them. If you have the stock 510 differential still you need the same number of teeth on the speedometer pinion as the one that was in your 4 speed. probably 16 or 17 if 3.889 or 3.70 The S13/14 uses and electronic speed sensor but the early D21 uses a sleeve that fits it. Now you just need the correct teeth. The 88-89 2wd truck with VG30 engine used a 17 tooth. I don't think there is much difference between S13/14 transmissions. Thank for the reply. I did this upgrade though ZCar Garage about 20 years ago and I never bothered to ask how he did it. 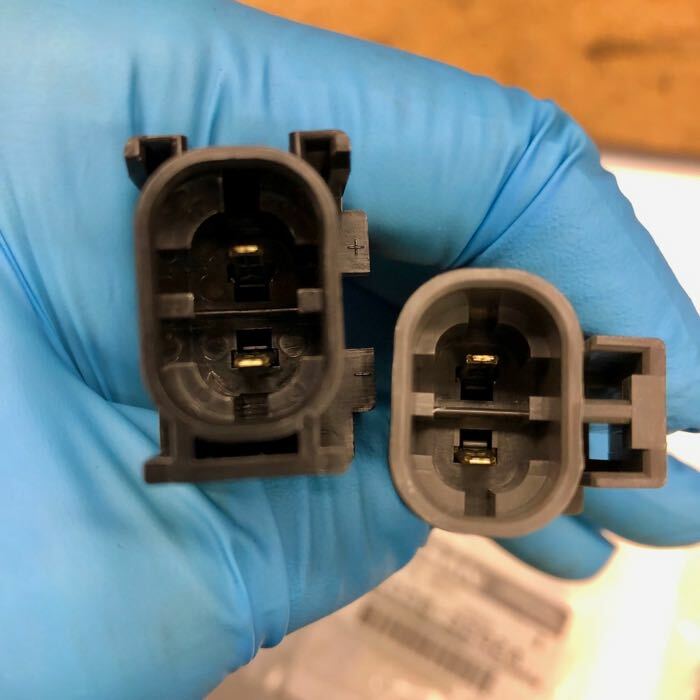 This would explain why I'm seeing electronic speedo parts where ever I look. 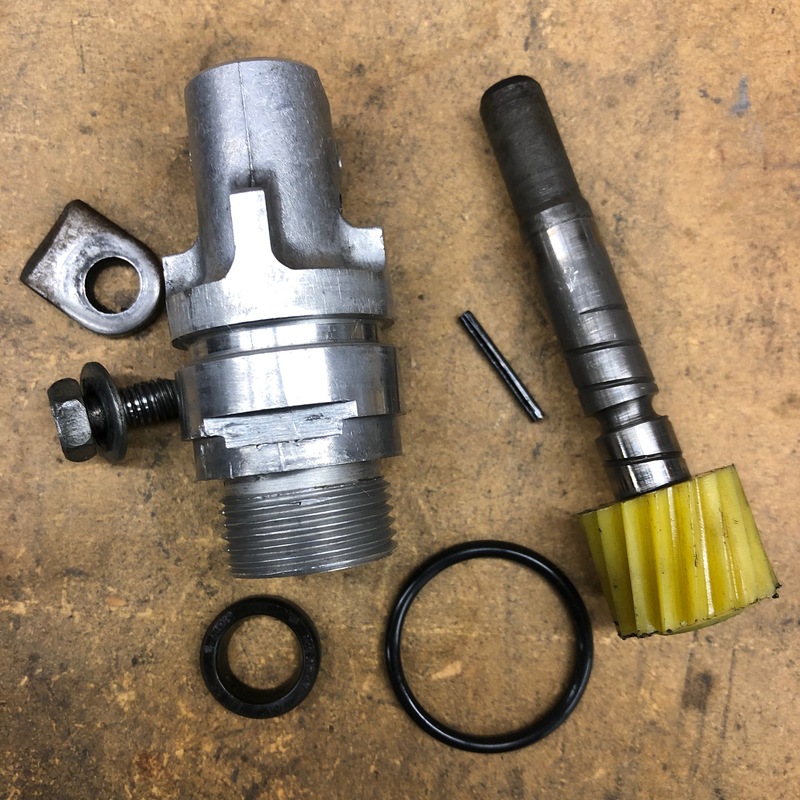 I'm running the OEM mechanical speedo in my '69, and there is a sleeve/ with pinion gear in the trans already (I'll have to pull to count the teeth), so I guess Rob did that way back when. This could also explain why i'm getting trans oil leaking out of there, possibly leaking past the pinion. The current diff is a R160 4:11 Subaru LSD, but I'll be changing that for an R180 with LSD, drive ratio TBD. The next iteration of my engine will be supercharged (haha I've been saying that for 10 years, #510goals), so I'm likely not going need that tall of a gear. I'm running 205/ 60 R13 Toyo RA1s so not sure what that is adding to the rolling distance math. Wouldn't mind having a set of those pinion gears to plug and play. I remember pulling a pinion gear off of a spare 280Z trans I had, and I think it was too short to internally engage the trans. I was planning on using the other switches to trigger different functions in the Motec M130 ECU I'm installing. For example, if I have the Neutral Switch wired in I can program the ECU to use my multifunction keypad to (more safety) start the car, or even auto restart if it stalls (if car has stalled + clutch is in + and it's in neutral = auto restart). The 4th/5th gear switch could be used to trigger a different fuel map, bump up traction control (I'm eventually adding wheel speed sensors to the car to utilize this feature), and have a more precise gear indication on the CDL3 display (the software can guess based on speed/ # of shifts/ RPM/ # of clutch depressions, but this would make it better). That reminds me, I need to find a NOS OEM clutch switch as well. Basically, the more sensor inputs I have the more I can utilize all the functions of the Motec. There is a larger O ring for the pinion sleeve. The sleeve is held in with th key and 10mm bolt. Leave the speedometer cable on and grip that and try to pull straight out. Avoid twisting as this will gnash the plastic gear. The pinion gear is held in by a roll pin. Inside the sleeve is another much smaller O ring. The output seal is also prone to leaking. It used on just about every Nisan transmission and about $5. Be sure to grease the seal lips before inserting the driveshaft so it doesn't start up dry. probably.... the above pinion and sleeve will give the correct speed in the S13/14 transmission. Find out what differential ratio is in your car and also the tire size you plan to use. From this the proper tooth combination can be worked out. A larger diameter tire or lowering the differential ratio (like from a 3.889 down to a 3.70) would need a smaller number of teeth on the plastic gear. 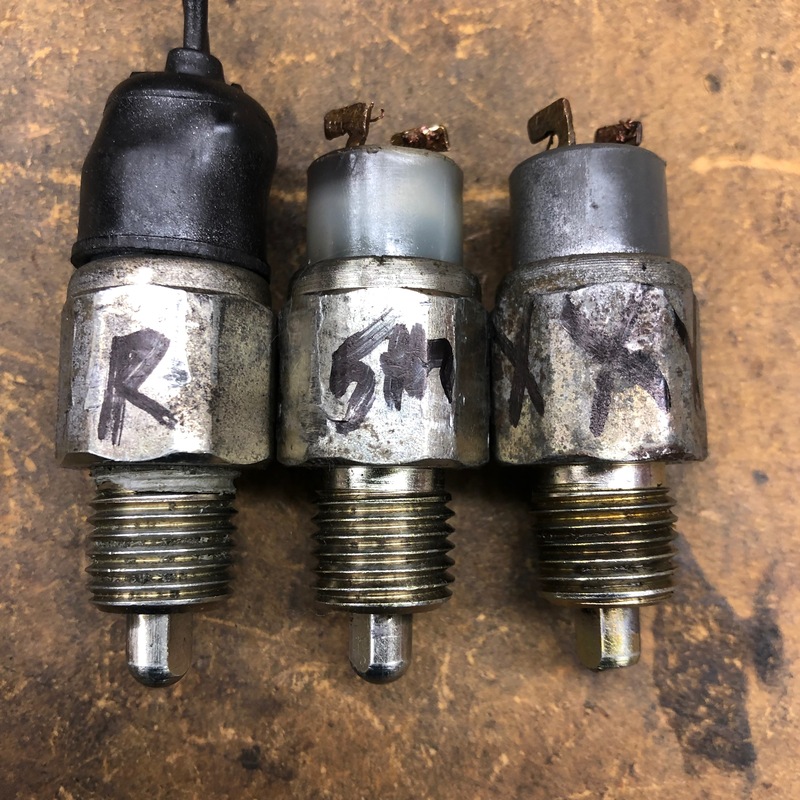 I pulled the trans switches after they all failed basic Ohm testing. Looks like they are all the same switch, which would make sense. My reverse switch has a dead spot in the middle of the throw, creating an intermittent condition. My 5th gear switch also has a dead spot, though a bit more consistent. So, I'l be replacing all three. I pulled my speedo pinion to count the teeth, and got a sleeve full of trans oil in the process. Lord, I hate gear oil. Smells like liquid death. Are these press fit on to the shaft? of do I need to find the gear-on shaft version? This illustration shows two different speedo assemblies: One where you only change the gear, other other where the gear is already fixed on the pinion shaft (like mine). The bottom one is what you want (to Aug '93) for the mechanical speedometer cable. The top one is electronic and the gear is a set size because you can 'tune' the speedometer electronically.. The worm gear on the main shaft is constant size. So a pinion gear increase in tooth count should make it larger in diameter. Larger will crush it against the worm gear. I think (though far from sure) that a sleeve will hold about 4? adjacent tooth counts like 16, 17, 18 and 19 without a problem. Just look at the depths of those teeth. For 20 and up a different sleeve more off set is used. If you look you'll see that the plastic pinion gear is not centered in the sleeve but is off set to the side. 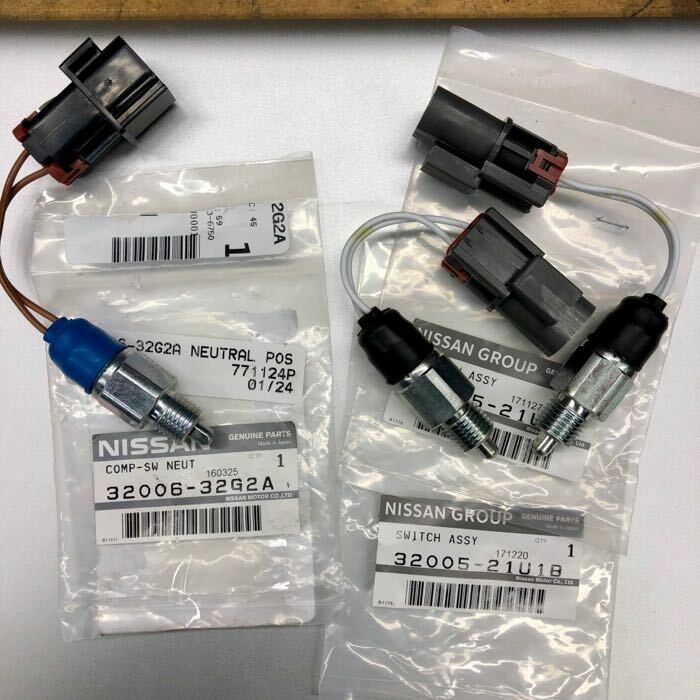 I finally got down to my local Nissan dealer to see how much they would change for the trans switches. Dealer Total: $150.00. Ugh, needless to say I wan't be ordering from that particular dealership, much too $$$. 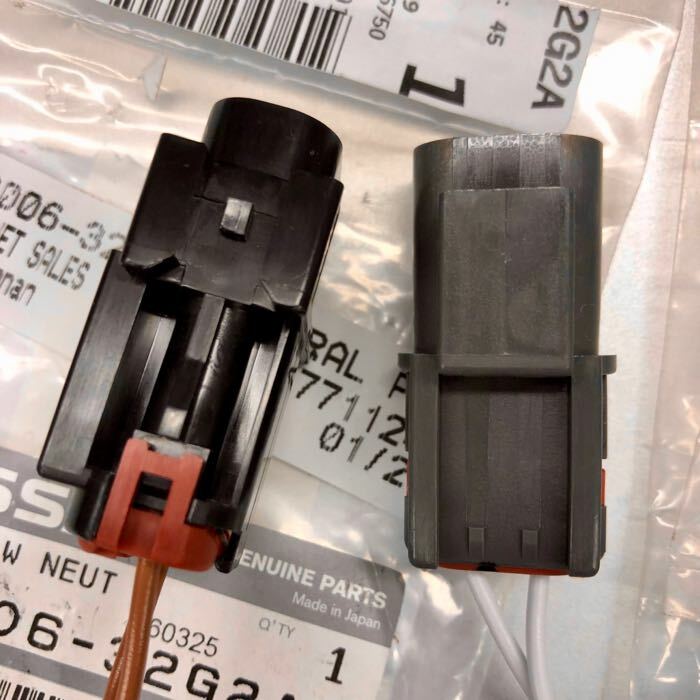 Amazon only had the 32005-21U1B, and that seller I linked at the top feels like a fake Nissan vendor (if you look at the other stuff they are selling), so I looked at nissanpartsdeal.com ($130 shipped). courtesyparts.com ($97 shipped), and tascaparts.com ($90 shipped), all claim to have OEM parts. On TascaParts.com There's a $9 difference between the 32005-21U1B ($29.46) and the 32006-32G2A ($20.11). It'll be interesting to see if all the switches are the actually the same, just with different part #'s. I guess I'll take the hit to check it out. My Neutral switch had a lot of wear to the nose of it, a good 1/8 ground off, so it's possible someone had installed a 21U1B and it's engineered a bit too long for that application, thus wearing it down. Or it wore down just because that switch gets the most use. If they turn out to all be the same switch, then it makes sense to only order the 32006-32G2A and save the $9. Get a reverse switch from an earlier 71B. Unless this is going to be a KA24 with EFI working you don't need the other switches at all only to plug the holes. Take a reverse switch and buy short bolts with the same thread and tighten them in. I was planning on using the other switches to trigger different functions in the Motec M130 ECU I'm installing. For example, if I have the Neutral Switch wired in I can program the ECU to use my multifunction keypad to (more safety) start the car, or even auto restart if it stalls (if car has stalled + clutch is in + and it's in neutral = auto restart). The overdrive switch could be used to trigger a different fuel map, bump up traction control (I'm eventually adding wheel speed sensors to the car to utilize this feature), and have a more precise gear indication on the CDL3 display (the software can guess based on speed/ # of shifts/ RPM/ # of clutch depressions, but this would make it better). I got the new switches in. On first glance they look exactly the same, except for color of the boot and plug shape. Ohm testing them tells a different story. In it's normal state the Neutral Switch is always "closed" (gets Ohms), and only when it's depressed does it open/ interrupt the flow of the circuit. The Reverse Switch and 5th Gear switch are the opposite. Their normal state is open (i.e. no electricity can flow). Once the switch is depressed/ closed, electricity flows through the switch. So, they they can't be interchanged with each other.